Corfe Castle itself was destroyed by Cromwell’s vengeful troops during the Civil War – but have you ever wondered what it must have been like before it was destroyed? 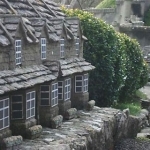 At CORFE CASTLE MODEL VILLAGE you can step back in time to the year 1646 and see Corfe’s heritage castle and ancient village laid out literally at your feet. 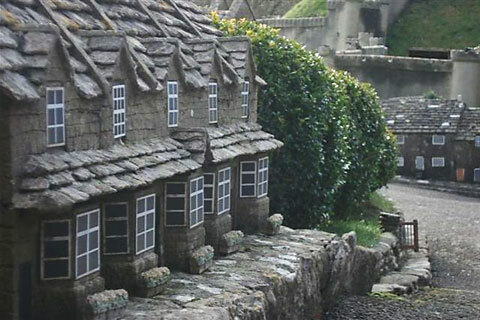 The model village faithfully restores both castle and village, stone by Purbeck stone, at 1/20th scale. 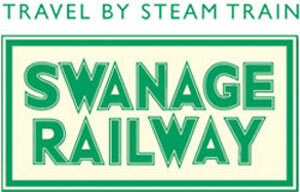 Stroll into the past and compare the castle as it was three hundred years ago with the ruin as it is today. 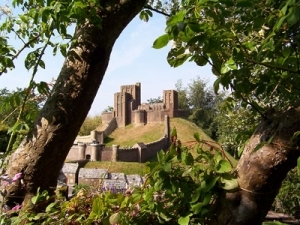 A step away from the Model Village is the enchanting world of a traditional Dorset Garden. Tended for many generations, the gardens have recently been restored to their former glory with many rare trees and shrubs among glorious traditional English borders heady with scent in Summer and colour and drama all season. 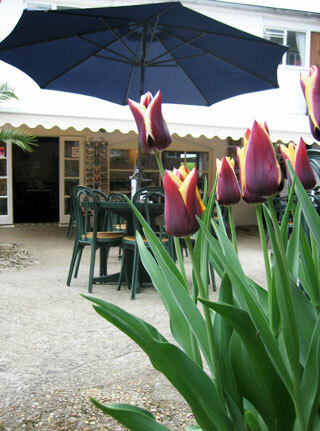 Relax and reflect on the Corfe Castle Model Village and Gardens experience over a cappuccino or a full Dorset Cream Tea in the secluded haven which is the Courtyard Cafe. Or simply take a seat and enjoy a light lunch, snack or selection from the special childrens’ menu, at THE COURTYARD CAFE. Model Village, Dorset Garden and Courtyard Cafe are open daily from Easter to 31st October. 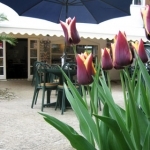 High season 10.00 a.m. – 6.00 p.m. and mid-season from 11.00 a.m. to 5.00 p.m. Entrance from Corfe Castle Square; public car park in West Street.